Residents of West Contra Costa County will vote this fall on a special parcel tax to support the ailing Doctors Medical Center in San Pablo. The five-member West Contra Costa County Healthcare District board, the elected body that oversees the public hospital’s operations, voted unanimously last week to approve a ballot measure that would raise over $5 million per year to pay for the hospital’s continued operations. Contra Costa College’s San Pablo campus was turned into a relief shelter for families displaced by a 6.1 magnitude earthquake that hit the Bay Area at 1:30 Tuesday morning. Didn’t feel the shock? That’s because the earthquake was made up as an exercise that gave volunteers a chance to practice giving aid to displaced families. And the pace? Perhaps a tad more casual than if it were a real disaster response—but only by a little. If you brushed your teeth, took a shower and flushed the toilet this morning, you may not have thought much about what happened after it went down the drain. But a coalition of Bay Area agencies has been working for years to find innovative methods to convert that waste into something of value. The Pacific Cannabis Expo drew pot enthusiasts to Richmond for a gathering that lasted all weekend. Medical marijuana collectives, pot-paraphernalia sellers, and a variety of pot eaters, smokers and otherwise inhalers—all medical marijuana patients—were in attendance. 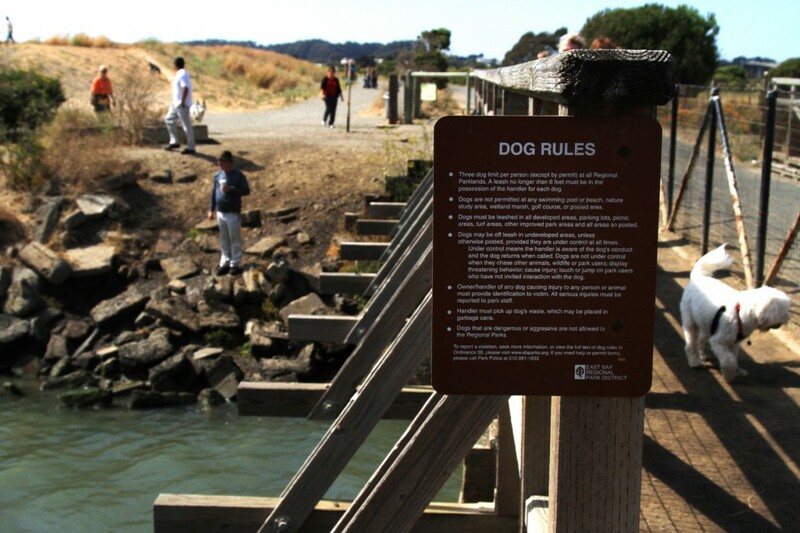 “Dog park” sort of misses the mark when describing the Point Isabel Regional Shoreline. This is no fenced off stretch of dirt. Point Isabel is the largest public off-leash dog park in the country with roughly half a million dog visits each year. Funding Adult Day Health Care, which supports the elderly and those with special needs, was cut from the state’s budget this summer, and unless a lawsuit challenging the cuts is successful, the program will disappear at the end of this year. A group of women from local churches got together Saturday to cook a meal and mark the end of 12 weeks of classes called A Taste of Health that focused on exercise and nutrition. The group met every Saturday for the last few months—skipping a few here and there for holidays—to exercise, cook and learn together. This summer marks thirty years since the first AIDS diagnosis. Since then, advancements in anti-retroviral drugs used to treat the disease and better disease management practices have rolled out every few years. But until 2004, the way that health providers tested for HIV, the infection that causes AIDS, remained the same. Now, clinics can deliver results instantly, and that has big implications. Police officers and county sheriffs are investigating a spate of four shootings Richmond and North Richmond Sunday night. The violence left three dead and three injured in just three hours. Richmond has a new budget, and the outlook is mixed. The budget, approved by the city council Tuesday night, is close to balanced and leaves the city’s $10 million general fund reserve intact, but make cuts to already stretched city services and uses one-time measures that put off larger, structural issues until next year. Activists, led by Barbara Becnel, gathered in Richmond to learn how to successfully advocate for the abolition of capital punishment. California leads the nation in awarding the death penalty, and Contra Costa County’s court system is among the state’s frequent users of the death sentence.